One thing that's out of our control is the weather. If your home has recently suffered storm damage, consult the Summit Restoration, LLC team right away. We're available 24/7 to get your home back to normal as soon as possible. As if a house fire isn't devastating enough, the aftermath can be even more overwhelming. That's why Summit Restoration, LLC is available 24/7 for your convenience. We are here to help you recover and rebuild as quickly as possible. Making updates or getting repairs taken care of has never been so easy. Put your ladder and toolkit away, Summit Restoration, LLC is at your service. Replace your flooring or add custom trim work by contacting out experts today! The kitchen is the centerpiece of every home. So why not have the kitchen of your dreams? Partner with Summit Restoration, LLC. We will help shape your ideas and manage the entire project from start to completion. At Summit Restoration, LLC we understand what an important investment your home is to you and your family. From providing shelter to being the centerpiece of many memories, ensuring the safety and maintaining the functionality of your home is key. That’s why we are committed to providing premier restoration and home improvement solutions for homeowners in and around Collinsville, Hartford, Hartford County, and Farmington Valley, CT. Since 1998, we have been helping our clients either take back control of their homes after being damaged by a storm or achieve the look and feel they’ve always wanted. As a locally owned and operated company, we know how important it is for your home to provide protection and serve all your needs. Whatever your project needs, we relieve your stress by managing every aspect from beginning to end. Call today for restoration services! Summit Restoration LLC can help you restore your property. We pride ourselves on responding quickly to any personal and property needs you may have. This is why it pays to chose an insurance restoration specialist who will do whatever it takes to make your home livable. 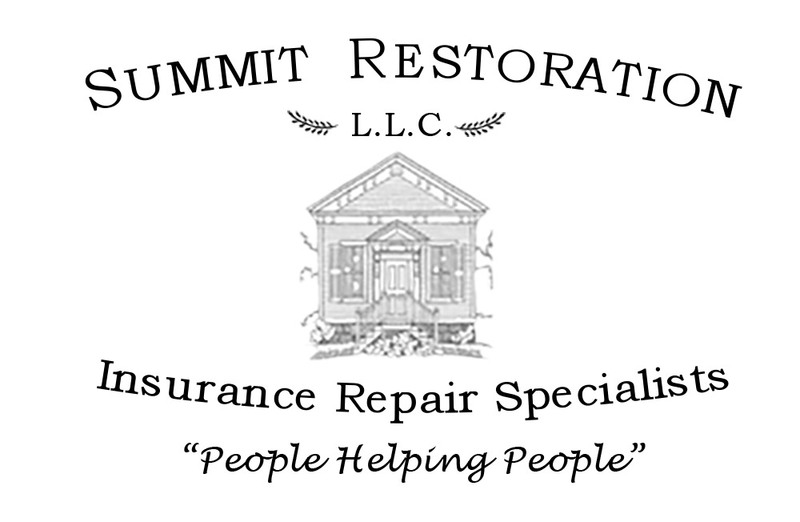 Summit Restoration professionals are here to serve you in every aspect. We understand your concerns and we meet them. Our honesty, integrity, and commitment to excellence are respected and recognized as an insurance repair specialist, both by property owners and by the nation's insurance industry. We will provide you and your insurance carrier with a detailed estimate of repairs along with photographs of the damages. This will keep you informed throughout every step of the process. Our estimate will outline what exactly is to be done. Your complete satisfaction is guaranteed. When your home floods due to storm damage or a broken pipe, the result can be stressful. From assessing the damage done to flooring to figuring out what steps you need to take with your insurance company, Summit Restoration, LLC is here to help! Have you been considering updating your bathroom tile? Summit Restoration, LLC can transform your bathroom into the one of your dreams. Relax in a garden tub or add another sink, the possibilities are endless. Let's get started. Copyright © 2019 Summit Restoration, LLC, all rights reserved.